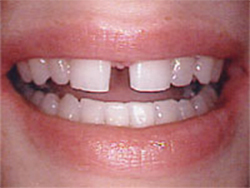 Do you have gaps between teeth that detract from your smile? 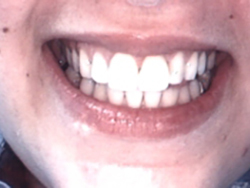 With dental bonding, a cosmetic dentist can fill those gaps and make your smile look better than new. Dental bonding is also excellent for replacing old fillings, covering grooves and even reducing sensitivity at the gum line due to recession. 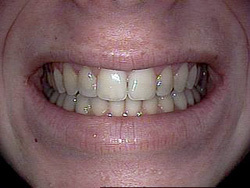 Dental bonding can be used to close up unsightly gaps between teeth. 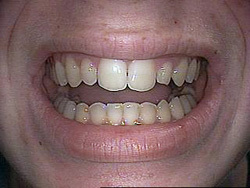 Cosmetic dental bonding can also be used to repair broken teeth. Dental Bonding is tooth-colored plastic that the dentist applies to replace worn areas of your teeth and to build up areas where there should be tooth material. With today’s new plastics, a good dentist can achieve fantastic results. Carefully matching your tooth color is a real art, and you want to make sure your dentist is skilled at doing so. 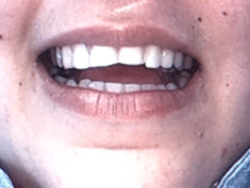 With a good bonding job, nobody should be able to see any difference between your natural teeth and repaired areas. Also, the bonding material must be painstakingly shaped to achieve the proper appearance (and contact surfaces). Proper shaping is an art. This is another important ability to look for in a dentist. Contact Cleveland cosmetic dentist Steven P. Marsh, D.D.S. 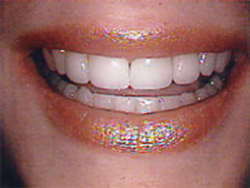 to arrange a consultation about cosmetic dental bonding.